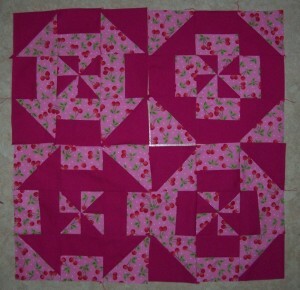 Coming shortly at Sprat & Winkle Quilters will be an evening working on Disappearing Pinwheels as demonstrated by Missouri Star Quilting Company on You Tube. I spent some time yesterday “playing” with this method and pictured below are the results. 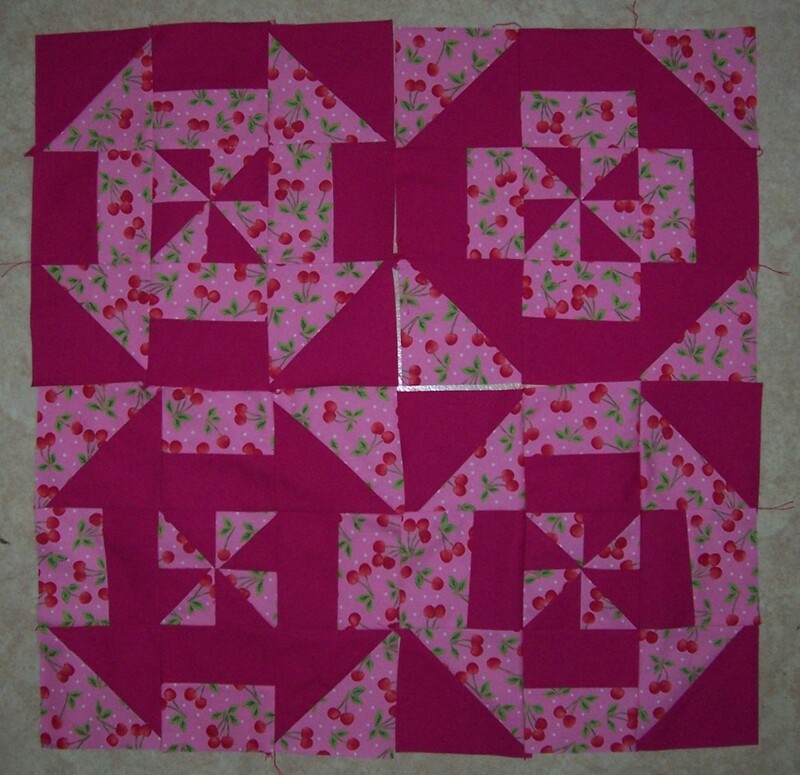 For anyone attempting this method I would recommend that all fabrics are sprayed with starch at the outset as after stitching of the initial 10″ squares together, all further seams are on the bias. This can make things a little tricky. I enjoyed the results and plan to make lots more when I next have a space in my sewing timetable.